I am forced to improvise the details, but as near as I can tell, this is what seems to have happened. In the autumn of that year an unspecified number of monkeys on Koshima were washing sweet potatoes in the sea. . . . Let us say, for argument's sake, that the number was ninety-nine and that at eleven o'clock on a Tuesday morning, one further convert was added to the fold in the usual way. But the addition of the hundredth monkey apparently carried the number across some sort of threshold, pushing it through a kind of critical mass, because by that evening almost everyone was doing it. Not only that, but the habit seems to have jumped natural barriers and to have appeared spontaneously, like glycerine crystals in sealed laboratory jars, in colonies on other islands and on the mainland in a troop at Takasakiyama. Yes, according to Watson, one monkey taught another to wash sweet potatoes who taught another who taught another and soon all the monkeys on the island were washing potatoes where no monkey had ever washed potatoes before. When the "hundredth" monkey learned to wash potatoes, suddenly and spontaneously and mysteriously monkeys on other islands, with no physical contact with the potato-washing cult, started washing potatoes! Was this monkey telepathy at work or just monkey business on Watson's part? It makes for a cute story, but it isn't true. At least, the part about spontaneous transmission of a cultural trait across space without contact is not true. There really were some macaque monkeys who washed their sweet potatoes. One monkey started it and soon others joined in. But even after six years not all the monkeys saw the benefit of washing the grit off of their potatoes by dipping them into the sea. Watson made up the part about the mysterious transmission. The claim that monkeys on other islands had their consciousness raised to the high level of the potato-washing cult is a myth (Amundson 1985, 1987; Pössel and Amundson, 1996). Ron Amundson wrote a very critical article of Watson's claim in 1985. In 1986, in a response to Amundson's critique of the hundredth monkey claim, Watson said his data came from "off-the-record conversations with those familiar with the potato-washing work." Markus Pössel contacted Masao Kawai, one of the senior researchers working on the original macaque project, and asked him about Watson's claims. Kawai said he was not "aware of any sweet potato washing or other skills that propagated more rapidly than would be expected by normal, individual, 'pre-cultural' propagation." When asked about "spontaneous and rapid spread of sweet potato washing from Koshima to groups of macaques on other islands and on the mainland," Kawai responded: "Individual monkeys in other groups or in zoos may have accidentally learned washing behavior, but it hasn't been observed anywhere on Koshima that washing behavior has spread to other group members" (Pössel and Amundson 1996). When asked if there were "anecdotes or bits of folklore" among his primatologist colleagues regarding rapid behavior propagation, Kawai said "No." And when asked were there any contacts between Lyall Watson and his (Kawai's) colleagues, Kawai said "No." Thus, I repeat: Watson created the hundredth monkey phenomenon. Amundson refers to Watson's "myth-making" rather than his confabulation. Watson's response to Amundson's critique was published in the Fall 1986 issue of Whole Earth Review. Watson wrote: "I accept Amundson's analysis of the origin and evolution of the Hundredth Monkey without reservation. It is a metaphor of my own making, based—as he rightly suggests—on very slim evidence and a great deal of hearsay. I have never pretended otherwise. . . ." Watson apparently made no effort to contact the researchers to inquire about the hearsay he claims he heard. In any case, Watson did not put forth the idea as a metaphor; he put it forth as a fact for which there was some unspecified hearsay evidence. It should be noted that Watson was the author of some 25 books, and the hundredth monkey nonsense involves only a few paragraphs of his total output. Watson was unrepentant about it, however, and wrote on his website: "I still think it's a good idea!" As a metaphor? Or as a fact? I wonder. The notion of raising consciousness through reaching critical mass is being promoted by a number of New Age spiritualists. Ken Keyes, Jr. has published a book on the Internet that calls for an end to the nuclear menace and the mass destruction which surely awaits us all if we do not make a global breakthrough soon. The title of his treatise is The Hundredth Monkey. In his book he writes such things as "there is a point at which if only one more person tunes-in to a new awareness, a field is strengthened so that this awareness is picked up by almost everyone!" It seems to be working for spreading the word about the hundredth monkey phenomenon. Watson died in June 2008, but his legacy lives on in the hundredth monkey myth. Amundson, Ron. "The Hundredth Monkey Phenomenon," Skeptical Inquirer, Summer 1985. Reprinted in The Hundredth Monkey and Other Paradigms of the Paranormal, ed. Kendrick Frazier (Buffalo, N.Y.: Prometheus Books, 1991). Available online here. Amundson, Ron. "Watson and the Hundredth Monkey Phenomenon," Skeptical Inquirer, Spring 1987. Pössel, Markus and Ron Amundson. 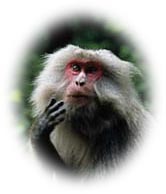 "Senior Researcher Comments on the Hundredth Monkey Phenomenon in Japan," Skeptical Inquirer, May/June 1996.